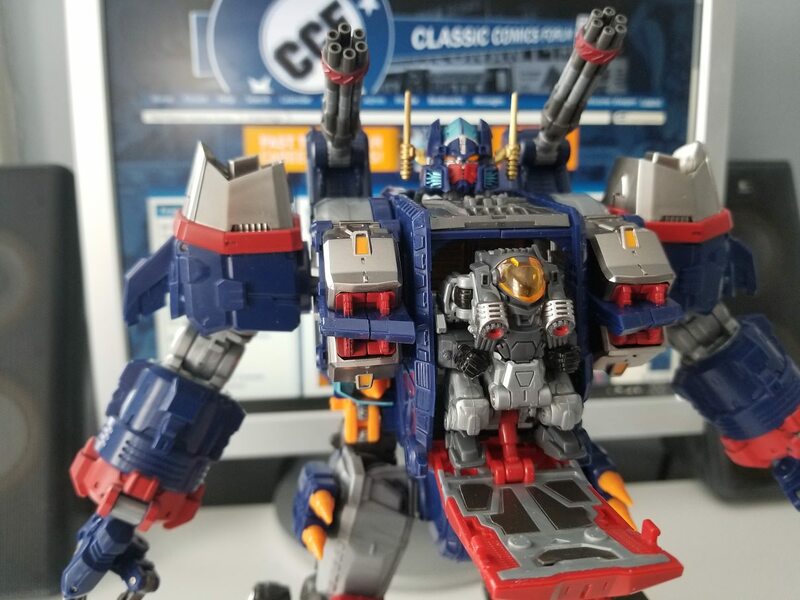 About twenty years ago, when I first got back into toy collecting and grew obsessed with Transformers, I quickly became fascinated by their predecessor: the Japan exclusive Takara Diaclone toy series. 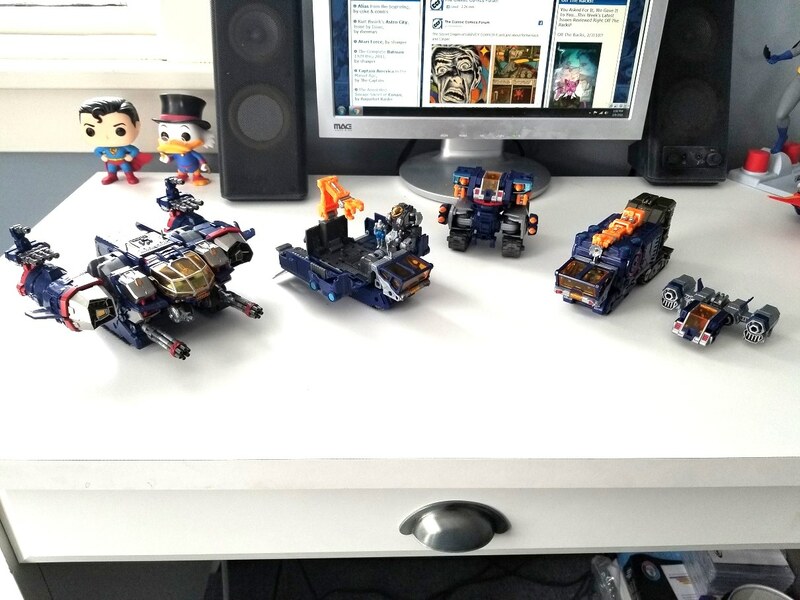 Over time, I tracked down most (though not all) of the early toys from that series and even became something of an expert, at one point running arguably the most informative Diaclone website available in the English language (it's now long gone and replaced by other sites that have since gone further). 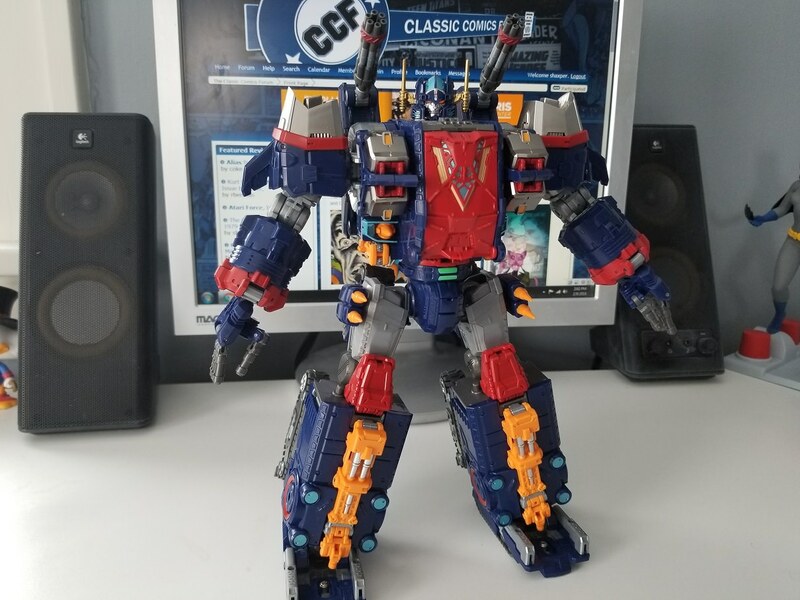 But, in short, I KNOW my Diaclone. 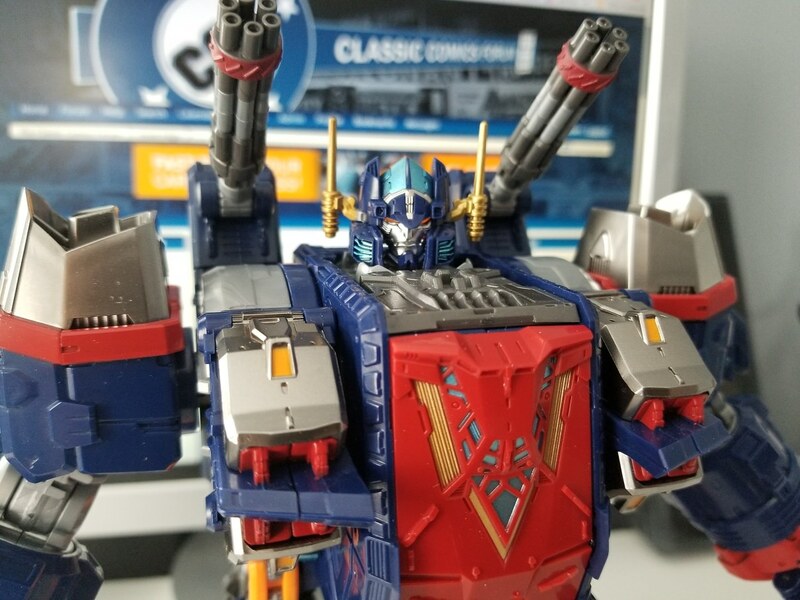 So when I first heard about this new Masterpiece approach to Diaclone, I was both thrilled and concerned, as my expectations were damn high. 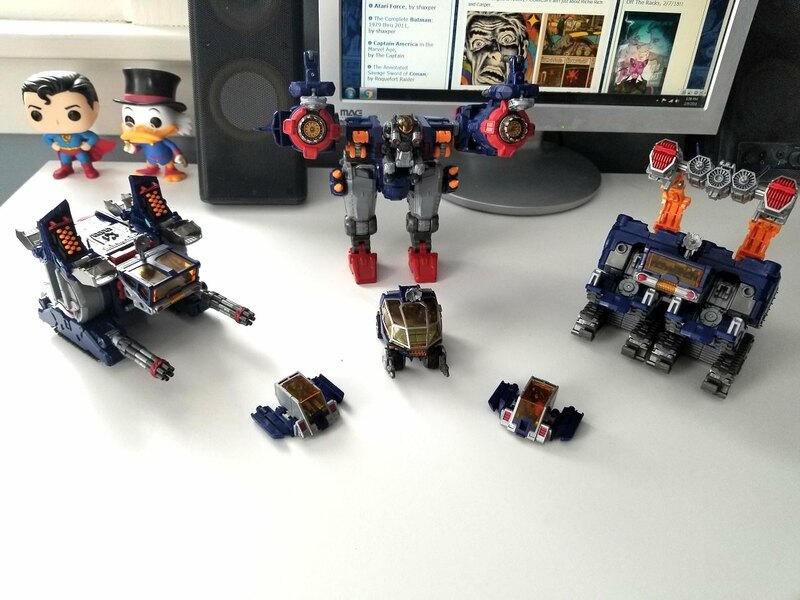 The first major release for this Diaclone Relaunch, Diabattles, was...interesting. It did just enough to warrant the hefty $160 price tag, utilized some aspects of the original toy and some features of the original series that were familiar, and it also introduced two new concepts that are key to this new series -- cockpits detach and flee to safety in robot mode (cool idea), and parts are interchangeable, providing multiple ways of transforming/combining them. I didn't love it, but I liked it enough to want to give the next release, the bigger and more complex Big Powered, a try. I got Big Powered a week ago, and I haven't put him down since. Both the design and the quality surpass Diabattles to the point that I think I may have to sell it. I just can't enjoy it in contrast to all the awesomeness of Big Powered. It feels like a clunky prototype in contrast, not something I can play with or display next to its successor. Big Powered looks better in literally every mode, the quality/detail and design elements are so much stronger, and the inter-changability feature truly soars with this release: every combination I can think of truly works like it was MEANT to be put together in that way, and I just keep finding new combinations every single time I toy around with this thing (which happens every day). This is pretty much the standard vehicle mode I keep coming back to. 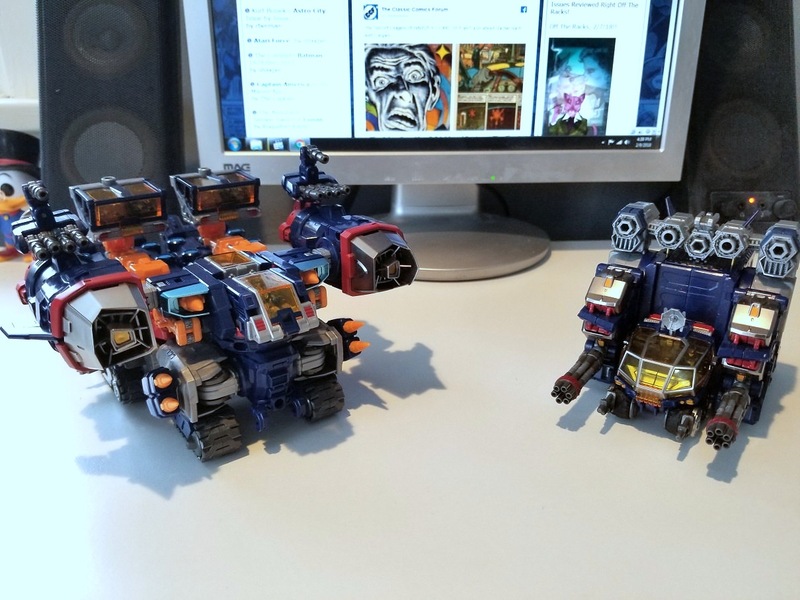 I like the looks a lot, and I LOVE the base modes on those two trailers, complete with magnetic strips for the Dianaut pilots to stand on. In contrast, here's a series of combinations I literally came up with just for the sake of this camera shot. Never tried these configurations before, and you can be sure they aren't in the instruction book. The modular design just lends itself so thoroughly to creativity and seemingly infinite combinations. Combined robot mode. There's really only one way to do this, and that's fine because it looks AWESOME. ...you can even customize that. And I love this little surprise. The transformation itself, in which pushing in the exo suit causes the head to rise, suggests that the exo suit is what pilots the robot while the cockpits flee to safety. Cool idea! 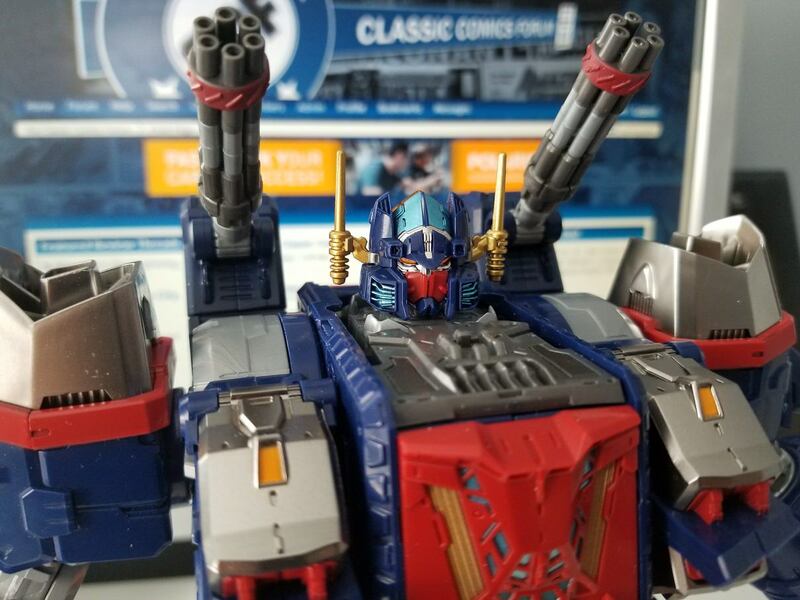 If they're following the release order of the original Diaclone series (and they are thus far), then Great Robot Base is next, and I can't even begin to imagine what they are going to do with that! Based on the up-sizing we've seen with Diattacker and Big Powered, I'd imagine the height of the GRB will be around two and a half to three feet. 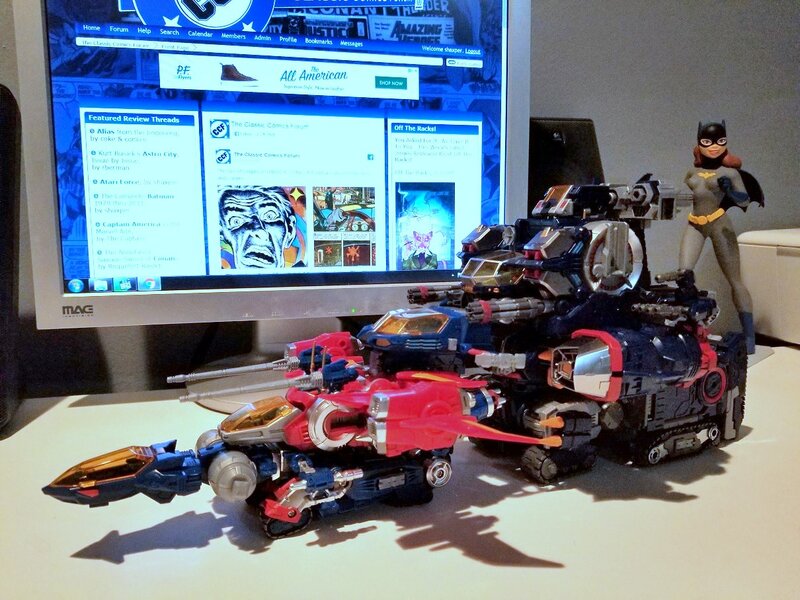 In the meantime, I'm reminded of my experience first encountering the Diaclone Fortress X back in the day. It was the PERFECT toy, with so much intricacy, so many levels to it, that I could never grow tired of it. It brought all the joy and fulfillment we hope for every single time we pre-order a new toy. I had to sell Fort X years ago to make rent, and I'm not about to buy another now that an even better one might be coming. But I say all of this because the new Big Powered is nearly as perfect and satisfying as Fort X used to feel. I've been playing with this thing for a week straight and only find myself getting more excited by it as time goes on. I can't wait to get more of this. Also note: There are A LOT of accessories that can be purchased to integrate with this guy. I recommend purchasing two powered suits, and some additional Dianauts and motorcycles. Those that say you can't buy happiness just weren't spending it properly. You spent well and wisely! Comic Books and toys are the gifts that keep on giving with endless hours of joy, pleasure and happiness. I don't mind a hefty price tag if the product is worth it. That bad boy shows the care and attention with details that it deserves where a $10 Styrofoam pressed formed Madball or a $20 Marvel Legend's figure sometimes make me wonder about the relative costs of production versus mark up versus resale versus happiness of owning and playing with your toys like they deserve!!! 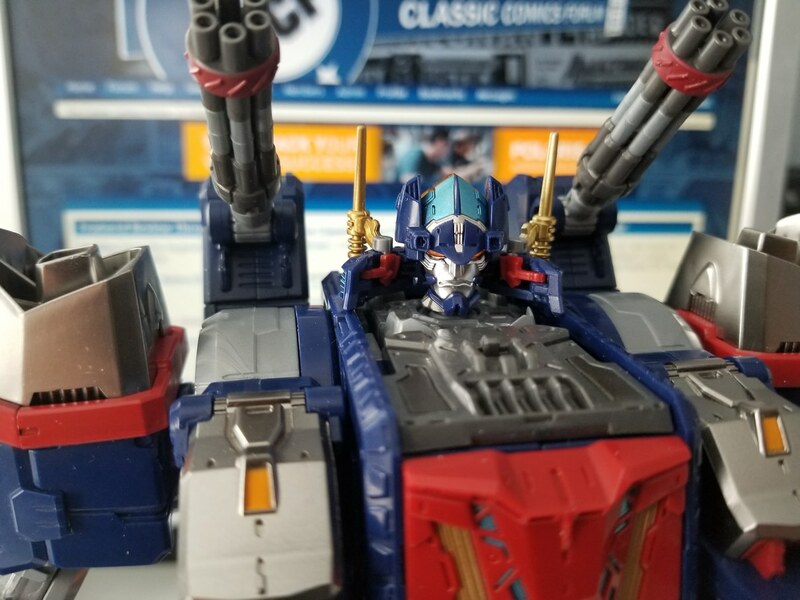 That is a darn cool looking toy. Wow! They are less locking into place and more resting together, but it looks great, and it moves as one when you push it.